Though Dionysius Bar Ṣalībī (d. 1171) wrote his Disputation Against the Arabs during the so-called ‘Syriac Renaissance’ (c. 1026-1318), a period characterized by an increased Christian awareness of Islamic literary culture, to date no sustained appeal has been made for a direct use of Islamic sources in composing this work. This situation seems largely influenced by Alphonse Mingana who categorically rejected Bar Ṣalībī’s knowledge of Islamic literature, particularly the Arabic Qurʾān. This article proposes to take a fresh look at the potential traces of Islamic sources the work displays. Such a reading reveals traces of at least five other Islamic literary genres besides the Qurʾānic excerpts for which the work is well known: Muḥammad’s biography (sīra), heresiography, exegesis (tafsīr), prophetic traditions (ḥadīth), and the so-called ‘stories of the prophets’ (qiṣaṣ al-anbiyāʾ). To prepare the way for a closer assessment of Bar Ṣalībī’s Islamic sources, the aim of this paper is to survey the various allusions to and quotations of the materialpb. 357 reminiscent of these five additional literary genres, and to reflect on their significance with regards to Bar Ṣalībī’s interculturality. Part of a larger encyclopedic work that also includes a theological compendium and disputations against the Jews, Nestorians, Chalcedonians, and Armenians, Against the Arabs is a quite significant hallmark in the history of Christian-Muslim relations.4 It is not only the latest disputation against Islam topb. 359 be composed in Syriac, but also the lengthiest and most comprehensive work of its kind, covering all the major issues of Christian-Muslim controversy in thirty chapters divided over three mimrē or tracts. The primary topics of dispute, the doctrines of the Trinity and Incarnation, are most prominently present, though various secondary themes have their place as well. Mimrō I (chs. 1-8) is principally devoted to refuting Muslim objections against Trinitarian doctrine, but also has an introductory chapter on the origins and teachings of Islam, and one on the divisions in the early Muslim community. The doctrine of the Incarnation is the central theme of mimrō II (chs. 9-24), but several chapters also discuss Muḥammad’s prophetic status, the legitimacy of Christian spiritual practices, the scriptural integrity of the Bible and the Qurʾān, and the proper conception of Paradise. In these first two mimrē, Bar Ṣalībī relies on four types of arguments to uphold the veracity of Christianity. Besides the usual use of arguments from ‘nature and scripture’, he also presents testimonies from the pagan sages,5 and more importantly, arguments from the Qurʾān, which is cited in a Syriac translation. Conforming to a widespread Christian approach to the Qurʾān, his quotes serve either to demonstrate the Qurʾān’s flawed character or conversely, to find support in it for Christian teachings.6 This reading of the Qurʾān is fullypb. 360 developed in mimrō III (chs. 25-30), undoubtedly the most original part of the work. In these final six chapters, Bar Ṣalībī divides the pages into two sections: one containing excerpts from the Qurʾān and the other section providing his commentary, i.e. his apologetic and polemic interpretations of the cited material. The themes that are discussed in the six chapters are revelation and creation (25), Adam (26), Noah (27), the Patriarchs (28), Mary and Jesus (29), and concludes with a chapter clustering Qurʾānic verses on a wide range of topics (30). Like other writers of the Syriac Renaissance, Bar Ṣalībī’s favored method of composition, as displayed in Against the Arabs, is to compile previous works and combine, edit, and shape them to his own purposes. The identification of his sources and the assessment of how he makes uses of them, however, is still largely uncharted territory. That he principally draws, as might be expected, on Syriac and Christian Arabic sources has recently received some initial attention.7 However, whether he also made use of Islamic sources, a marked trait ofpb. 361 Syriac Christian writers during his period,8 remains completely elusive to date. Despite the fact that several recent studies have called attention to the originality of Bar Ṣalībī’s knowledge of Islamic history and the Qurʾān, little to no appeals for a direct reliance on Arabic Islamic sources have been made so far. Though Mingana’s claim of having unearthed evidence of a non-canonical Qurʾān was soon rejected by prominent contemporary Qurʾānic scholars such as Gotthelf Bergsträβer,pb. 362 Theodore Nöldeke, and Arthur Jeffery, and largely ignored by Islamicists ever since, to date no conclusive alternative account for the provenance of the Qurʾānic translations in Bar Ṣalībī’s work has been advanced.11 Yet one interesting hypothesis worthy of further exploration has already been put forth a while ago by Sidney Griffith, who suggested that Bar Ṣalībī himself “made the translations to suit his own apologetic/ polemic purposes, and that the variants are to be explained as distortions, rather than as evidence of ‘an ancient Syriac translation’.”12 Before reexamining Bar Ṣalībī’s potential translation work, however, it may be wise to first clarify the more fundamental issue of his interculturality, as someone with no affinity whatsoever with Islamic literary culture is indeed not very likely to be a Qurʾānic translator. As we shall see, Mingana’s ‘extremely’ low estimation of Bar Ṣalībī’s interculturality was not only founded on a flawed manuscript basis, but a fresh reading of the work brings to light traces of at least five other Islamic literary genres in addition to the Qurʾān. Some of these materials had been noted by Mingana and were (mistakenly) interpreted as “new verses and variants [from the Qurʾān],” other materials he missed due to his neglect of both mimrē I-II and the commentary section of mimrō III.13 For the sake of convenience, these materials will be surveyed according to their characteristic literary genres, though one has to bear in mind that none of the materials under review are limited to works of one particular genre alone. Thus, the mentioned “two other books” do not at all refer to Muslim literature in general, as Mingana understood it, but only to particular works narrating the life of Muḥammad. Apparently, Bar Ṣalībī acquired this knowledge from Muslim informants, presumably orally or through a writing. As for the first work refered to, there are numerous Islamic writings entitled Kitāb al-Maghāzī (Book of Expeditions) reporting on Muḥammad’s raids and military campagns during the Medinan period, such as those of Ibn Isḥāq (d. c. 770) and al-Wāqidī (d. 823), to name only two important writers.18 The writing that answers to the name Mukhtāra is more doubtful. One possibility is that it refers to a sīra work that has al-mukhtār, ‘the chosen one’, in its title, such as for instance al-Baghawī’s (d. 1117) Kitāb al-Anwār fī shamāʾil al-Nabī al-Mukhtār (Book of Elucidations on the Good Qualities of the Chosen Prophet). Ms. Syriac Orthodox Patriarchate 160 has preserved an additional sentence to Bar Ṣalībī’s comment which may contain his motive for adducing this information on Muslim exegesis. In it, Bar Ṣalībī appeals to the authority of Muḥammad to appropriate the contents of the ‘Preserved Tablet’ to Christianity: “The things he [i.e. the angel Michael] recites here, he [i.e. Muḥammad] says, are Christians things.”36 In other words, what the angel Gabriel is reciting from the Preserved Tablet is not the Qurʾān in Bar Ṣalībī’s opinion, but things (texts?) related to Christianity. The reason why Bar Ṣalībī found such a doubling of angels absurd is obviously determined by the Biblical lens through which he reads the Qurʾān. As such, he certainly knew that in Ezekiel’s vision only four creatures carry the divine Throne (Ezek 1). He thus indirectly appears to be criticizing Muslim exegetes, and by extension the Qurʾān, for contradicting the Bible, a polemic made repeatedly in the Disputation. Though Bar Ṣalībī provides no comment for this quotation, his motive for including it most likely is linked to an earlier debate on the meaning of Christ’s prayer and the Muslim’s prayer for Muḥammad, in which Bar Ṣalībī argued that “because you pray for your prophet, you seem to be better than he is since you petition God to forgive him his wrongdoing”.49 This polemic background may also explain (assuming that Bar Ṣalībī is the translator at work) why the Arabic verb ṣallā, which can mean ‘to pray’ or ‘to bless’ (usually the latter in this context) is rendered by its Syriac cognate having only the meaning ‘to pray’. Even more pertinent, this background could also provide an explanation for the distorted concluding doxology which addresses the prayer not to God, but to Muḥammad. As the Qurʾān narrates the lives and deeds of the prophets before Muḥammad only in a very cursory manner, Muslim commentators soon began to reconstruct the narratives by drawing on Jewish and Christian traditions, the so-called Isrāʾīliyyāt,55 which led to the emergence of collections of ‘stories of the prophets’ (Qiṣaṣ al-anbiyāʾ). These collections were included in the early sections of Muslim historiographies, or were transmitted in separate works of Qiṣaṣ al-anbiyāʾ. Though the latter works were produced from early on, it was in the eleventh century, just before Bar Ṣalībī’s lifetime, that major works were composed, such as those by Abū Isḥaq al-Thaʿlabī and Muḥammad ibn ʿAbdallāh al-Kisāʾī. Both were very popular, comprehensive collections of traditions on the prophets, ordered chronologically from creation to the time of Jesus.56 There are two passages in mimrō III that recall the often rather legendary character of the Qiṣaṣ al-Anbiyāʾ genre. (God) did not set apart men, except Noah and those who were with him in the ark, and Og, son of ʿAnaq, as the readers of the scriptures (qōryay ktōbē) say. Og was the son of Sayhan and his mother ʿAnaq, and Og was a giant. As he was created by God, his stature was so great in creation that no one was able to describe it. And he was an enemy of the Muslims (bʿeldbōbō d-mashlmōnē) and those who are like them. His mother, ʿAnaq, was a woman of the daughters of Adam, and, as they say, she was beautiful to behold. But the readers of the scriptures say that at his birth he was already huge, in a way that is impossible to relate. On the waist of the giant there was a belt, and he used to stretch out his hand into the sea to take hold of a big fish from the bottom of the sea and he would hold it up to the sun to roast and eat it. He lived for 3600 years. He was born in the days of Adam, and lived until (the time of) Moses who killed him. Almost a century after Mingana’s paper on the Disputation Against the Arabs, a new start was made in the present article in tracing the potential Islamic sources Bar Ṣalībī relied upon in composing the work. Mingana’s swift claim that Bar Ṣalībī’s knowledge of Islamic works was “extremely meagre” has proven to be ‘extremely’ inaccurate, not only because it rests on a flawed textual basis, but also because it combines with a highly selective reading of the text. The fact that little of the material discussed above is paralleled in other known Syriac (or Christian Arabic) texts leads one to suspect very strongly that Bar Ṣalībī was drawing directly on Islamic sources, incorporating material as he saw fit to his apologetic and polemic purposes at hand. However, one should not fall in the opposite extreme of saying that his knowledge of Islamic sources was ‘extremely rich’. Given the fact that one finds in many Islamic works material on Muḥammad’s life, the sects of Islam, tafsīr, the ḥadīth, and the stories of the prophets, a limited number of Vorlagen could already suffice to account for all the material under review. The specificity of the material of the heresiography and Qiṣaṣ al-anbiyāʾ genres may warrant first and foremost further exploration along these lines. Particularly the prospects of a reliance on a work of Qiṣaṣ al-anbiyāʾ seems promising, as the use of such a Vorlage not only could explain the origin of his legendary accounts on Adam’s creation and Og the giant, but potentially also account for his notices on Muḥammad’s life and Muslim exegesis as well as his direct citations of ḥadīth material. Even more fascinating – to go already one step further – it may possibly also go to some lengths in explaining where the thematically arranged collection of Qurʾānic excerpts included in mimrō III came from in the first place. All of this, however, is a subject for some other time. Bar Ṣalībī, Dionysius, Against the Arabs, ed. and tr. Joseph P. Amar, Dionysius Bar Ṣalībī: A Response to the Arabs, CSCO 614-615. Leuven: Peeters, 2005. Beaumont, Mark I. “Early Christian Interpretation of the Qurʾān.” Transformation 22/4 (2005): 195-203. Boisliveau, Anne-Sylvie, Le Coran par lui-même: Vocabulaire et argumentation du discours coranique autoréférentiel. Leiden: Brill, 2014. Brinner, William M., ʿArāʾis al-Majālis fī Qisas al-Anbiyāʾ or “Lives of the Prophets” as recounted by Abū Isḥāq Aḥmad Ibn Muḥammad Ibn Ibrāhīm Al-Thaʿlabī, Studies in Arabic Literature 24. Leiden: Brill, 2002. Brock, Sebastian P., “A Syriac Collection of Prophecies of the Pagan Philosophers.” Orientalia Lovaniensia Periodica 14 (1983): 203-246. _________ , “Some Syriac Excerpts from Greek Collections of Pagan Prophecies.” Vigilae Christianae 38 (1984): 77-90. Brosh, Naʿama and Rachel Milstein, Biblical Stories in Islamic Painting. Jerusalem: Israel Museum, 1991. .
Burge, Stephen R., Angels in Islam: Jalāl al-Dīn al-Suyūtī's al-Ḥabāʾik fī akhbār al-malāʾik, Culture and Civilization in the Middle East 31. Oxon: Routledge, 2012. Burton, John, The Collection of the Qurʾān. Cambrigde: Cambridge University Press, 1977. Gilliot, Claude, “Islam, ‘sectes’ et groups d’opposition politico-religieux (VIIe-XIIe siècles).” Rives nord-méditerranéeennes 10 (2002): 1-13. Griffith, Sidney H, “Dionysius bar Ṣalībī on the Muslims.” In IV Symposium Syriacum: Literary Genres in Syriac Literature, Orientalia Christiana Analecta 229, ed. H. Drijvers et al. Rome: Pontificium Institutum Studiorum Orientalium, 1987, 353-365. _________ , “Disputes with Muslims in Syriac Christian Texts: From Patriarch John (d. 648) to Bar Hebraeus (d. 1286).” In Religionsgespräche im Mittelalter, Wolfenbütteler Mittelalter-Studien 4, ed. B. Lewis and F. Niewöhner. Wiesbaden: Harrassowitz, 1992, 251-273. _________ , Syriac Writers on Muslims and the Religious Challenge of Islam. Kottayam: SEERI, 1995. _________ , “The Qurʾān in Arab Christian Texts; the Development of an Apologetical Argument: Abū Qurrah in the Maǧlis of al-Maʾmūn.” Parole de l’Orient 24 (1999): 203-233. _________ , “Christians and the Arabic Qurʾān: Prooftexting, Polemics, and Intertwined Scriptures.” Intellectual History of the Islamicate World 2 (2014): 243-266. Guillaume, Alfred, The Life of Muḥammad: A Translation of Ibn Isḥaq’s Sīrat rasūl Allāh. Oxford: Oxford University Press, 1982. Gutmann, Joseph and Vera B. Moreen “The Combat between Moses and Og in Muslim Miniatures.” Bulletin of the Asia Institute 1 (1987): 111-21. 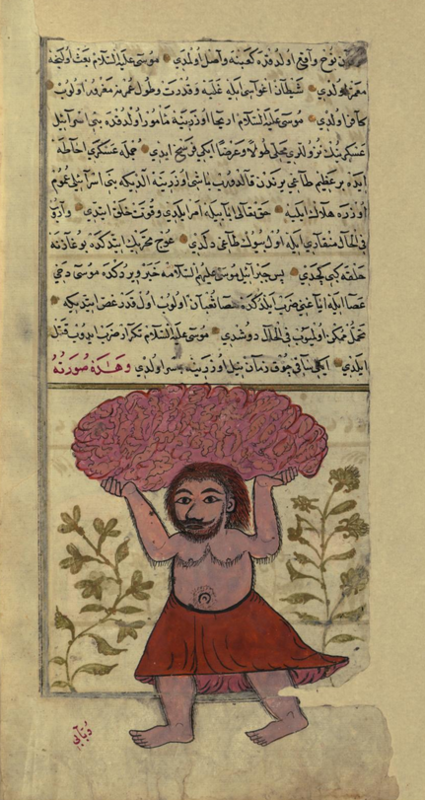 Gutmann, Joseph, “More about the Giant Og in Islamic Art.” Bulletin of the Asia Institute 3 (1989): 107-114. Heimgartner, Martin, Timotheos I., Ostsyrischer Patriarch: Disputation mit dem Kalifen Al-Mahdi, CSCO 631-2. Leuven: Peeters, 2011. Heller, B. and S. M. Wasserstrom, “Ūdj,” EI2 10 (2000): 777-8. Hinds, M. “Al-Maghāzī,” EI2 5 (1986): 1161-6. Jacobs, Bert, “Unveiling Christ in the Islamicate World: Fakhr al-Dīn al-Rāzī's Prophetology as a Model for Christian Apologetics in Gregory Bar ʿEbrōyō's Treatise on the Incarnation.” Intellectual History of the Islamicate World 6/1&2 (2018), 187-216. _________ , “Tentative Reconstruction of Dionysius of Tell-Maḥrē’s Account of the Rise of Islam through Three Dependant Texts.” Forthcoming. Jeffery, Arthur, Materials for the History of the Text of the Qurʾan: The Old Codices. Leiden: Brill, 1937. Kara, Seyfeddin, “The Suppression of ʿAlī ibn Abī Ṭālib’s Codex: Study of the Traditions on the Earliest Copy of the Qurʾān.” Journal of Near Eastern Studies 75/2 (2016): 267-289. Al-Kisāʾī, Qiṣaṣ al-anbiyā, ed. Isaac Eisenberg, Vita Prophetarum auctore Muḥammad ben ʿAbdallāh al-Kisāʾī ex codicibus, qui in Monaco, Bonna, Kygd. Batav. Lipsia et Gothana Asservantur. Leiden: Brill, 1922; tr. William M. Thackston, Tales of the Prophets of Al-Kisaʾi. Library of Classical Arabic literature 2. Boston: Twayne Publishers, 1978. Kister, M. J., “Ādam: A Study of Some Legends in Tafsīr and Ḥadīṯ Literature.” Israel Oriental Studies 13 (1993): 113-74. Kosman, Admiel, “The Story of a Giant Story: The Winding Way of Og King of Bashan in the Jewsih Haggadic Tradition.” Hebrew Union College Annual 73 (2002): 157-190. Laoust, Henri, “La classification des sectes dans le Farq d’al-Baghdādī.” Revue des Études Islamiques 29 (1961): 19-59; repr. in H. Laoust, Pluralismes dans l'islam. Paris: Geuthner, 1983, 135-75. .
_________ , “La classification des sects dans l’hérésiographie ashʿarite.” In Arabic and Islamic Studies in Honor of Hamilton A. R. Gibb, ed. G. Makdisi. Leiden: Brill, 1965, 377-86. _________ , “L'hérésiographie musulmane sous les Abbassides.” Cahiers de civilisation médiévale 38 (1967): 157-178. Madigan, Daniel A., “Preserved Tablet,” EQ 4 (2004): 261-3. Milstein, R., K. Rührdanz and B. Schmitz, Stories of the Prophets: Illustrated Manuscripts of Qiṣaṣ al-Anbiyāʾ. California: Mazda Publishers, 1999. Mingana, Alphonse, “An Ancient Syriac Translation of the Ḳurʾan Exhibiting New Verses and Variants.” Bulletin of the John Rylands Library 9/1 (1925): 188-235; repr. in Manchester: Manchester University Press, 1925, 1-50; repr. in Which Koran? : Variants, Manuscripts, Linguistics, ed. Ibn Warraq. Amherst: Prometheus Books, 2008; 2011. Nagel, Tilman, Die Qiṣaṣ al-Anbiyāʾ. Ein Beitrag zur Arabischen Literaturgeschichte. Unpubl. PhD diss., University of Bonn, 1967. Nöldeke, T., F. Schwally, G. Bergsträβer, and O. Pretzl, Geschichte des Qurāns, 3 vols. Leipzig: Dieterichsche Verlagsbuchhandlung, 1909, 1919, 1938. Nguyen, Martin, “Exegesis of the ḥurūf al-muqaṭṭaʿa: Polyvalency in Sunnī Traditions of Qur’ānic Interpretation.” Journal of Qurʾānic Studies 14/2 (2012): 1-28. O’Shaughnessy, Thomas J. “God’s Throne and the Biblical Symbolism of the Qurʾān.” Numen 20/4 (1973): 202-221. .
Pauliny, Ján, “ʿŪg ibn ʿAnāq, ein sagenhafter Riese: Untersuchungen zu den islamischen Riesengeschichten.” Craecolatina et Orientalia 5 (1973): 249-268. Penn, Michael P., Envisioning Islam: Syriac Christianity and the Early Muslim World. Pennsylvania: Pennsylvania University Press, 2015. Rassi, Salam, Justifying Christianity in the Islamic Middle Ages: The Apologetic Theology of ʿAbdīshōʿ bar Brīkhā (d. 1318). PhD diss., University of Oxford, 2015. Roggema, Barbara, “Pour une lecture des dialogues islamo-chrétiens en syriaque à la lumière des controverses internes à l’islam.” In Les controverses religieuses en syriaque, Études syriaques 13, ed. F. Ruani. Paris: Geuthner, 2016, 261-294. Rosenthal, Franz, The History of al-Tabari, Vol. 1: General Introduction and From the Creation to the Flood. Albany: Suny Press, 1989. Ryan, Stephan D. Dionysius bar Salibi's Factual and Spiritual Commentary on Psalms 73-82, Cahiers de révue biblique 57. Paris: J. Gabalda et Cie, 2004. Saleem, Shehzad, Collection of the Qur’ān: A Critical and Historical Study of Al-Farāhī’s View. PhD diss., University of Wales Lampeter, 2010. .
Sezgin, F. Geschichte des arabischen Schrifttums, Vol. 1. Leiden: Brill, 1967. Schöck, Cornelia, Adam im Islam. Ein Beitrag zur Ideengeschichte der Sunna. Berlin: Klaus Schwarz Verlag, 1993. Sourdel, Dominique, “Les classification des sects islamiques dans le Kitāb al-Milal d’al-Šahrastānī.” Studia Islamica 31 (1970): 239-247. Talay, Shabo, “Aus dem polemischen Genre des Syrischen: Die luqbal-Schriften von Bar Ṣalībī und Bar Šūšan.” In Orientalia Christiana, Festschrift für Hubert Kaufhold zum 70. Geburtstag, ed. P. Bruns and H. O. Luthe. Wiesbaden: Harrassowitz, 2013, 511-521. Teule, Herman, “Jacob bar Šakkō, the Book of Treasures and the Syrian Renaissance.” In Eastern Crossroads. Essays on Medieval Christian Legacy, Gorgias Eastern Christianity Studies 1, ed. J.-P. Monferrer-Sala. Piscataway, NJ: Georgias Press, 2007, 143-154. _________ , “The Syriac Renaissance.” In The Syriac Renaissance, Eastern Christian Studies 9, ed. H. Teule et al. Leuven: Peeters, 2010, 1-30. _________ , “Dionysius bar Ṣalibi,” Christian-Muslim Relations: A Bibliographical History 3, ed. D. Thomas et al. Leiden: Brill, 2011, 665-670. Thomas, David, “Early Muslim Responses to Christianity.” In Christians at the Heart of Islamic Rule: Church Life andpb. 388 Scholarship in ʿAbbasid Iraq, The History of Christian-Muslim Relations 1, ed. D. Thomas. Leiden: Brill, 2003, 231-254. Tottoli, Roberto, “Origin and Use of the Term Isrāʾiliyyāt in Muslim Literature,” Arabica 46 (1999): 193-209. _________ , Biblical Prophets in the Qur'an and Muslim Literature. Routledge Studies in the Qurʾan. London: Routledge, 2001.
van Ess, Josef, Der Eine und das Andere. Beobachtungen an islamischen haresiographischen Texten, 2 vols. Berlin: De Gruyter, 2011. Welch, A.T., “Ḳurʾān,” EI2 5 (1986): 400-29. Wensinck, A.J., A Handbook of Early Mohammadan Tradition. Leiden: Brill, 1927. Wilde, Clare E., Approaches to the Qurʾān in Early Christian Arabic Texts (750CE-1258 CE). Palo Alto: Academica Press, 2014. ‎1 * This article presents some intermediary results of my current PhD project on the apologetic theology and sources of Dionysius Bar Ṣalībī’s Disputation Against the Arabs, particularly his use of the Qurʾān and other Islamic texts. I thank the FWO for generously supporting my research. I also wish to thank James E. Walters for his patience with me and for checking my English. Thus the thesis of Michael P. Penn, Envisioning Islam: Syriac Christianity and the Early Muslim World (Pennsylvania: University of Pennsylvania Press, 2015). ‎2 For overviews of the Syriac apologetic texts in response to Islam, see Sidney H. Griffith, “Disputes with Muslims in Syriac Christian Texts: From Patriarch John (d. 648) to Bar Hebraeus (d. 1286),” in Religionsgespräche im Mittelalter, Wolfenbütteler Mittelalter-Studien 4, ed. B. Lewis and F. Niewöhner (Wiesbaden: Harrassowitz, 1992), 251-273; id., Syriac Writers on Muslims and the Religious Challenge of Islam (Kottayam: SEERI, 1995); Barbara Roggema, “Pour une lecture des dialogues islamo-chrétiens en syriaque à la lumière des controverses internes à l’islam,” in Les controverses religieuses en syriaque, Études syriaques 13, ed. F. Ruani (Paris: Geuthner, 2016), 261-294. For early Muslim polemics against Christianity, see e.g. David Thomas, “Early Muslim Responses to Christianity,” in Christians at the Heart of Islamic Rule: Church Life and Scholarship in ʿAbbasid Iraq, The History of Christian-Muslim Relations 1, ed. D. Thomas (Leiden: Brill, 2003), 231-254. ‎3 A critical edition based on five manuscripts together with an English translation was published in 2005 by Joseph Amar, Dionysius Bar Ṣalībī: A Reponse to the Arabs, CSCO 614-615 (Leuven: Peeters, 2005). I have checked Amar’s edition against the oldest manuscript from the year 1207, Ms. Syriac Orthodox Patriarchate 160 (ff. 245a-278b). Amar’s translation is the basis for the citations occuring in this paper, but I regularly applied changes were deemed necessary. For Bar Ṣalībī’s bio-bibliography, see Stephan D. Ryan, Dionysius bar Salibi's Factual and Spiritual Commentary on Psalms 73-82, Cahiers de révue biblique 57 (Paris: J. Gabalda et Cie, 2004), p. 1-14. On the period of the ‘Syriac Renaissance’, see Herman Teule, “The Syriac Renaissance,” in The Syriac Renaissance, Eastern Christian Studies 9, ed. H. Teule et al. (Leuven: Peeters, 2010), 1-30. Other writers of this period engaged Islam as well in their theological writings, but none of them is credited for having composed a seperate work in response to Islam. Some studies on these author’s apologetics are Herman Teule, “Jacob bar Šakkō, the Book of Treasures and the Syrian Renaissance,” in Eastern Crossroads. Essays on Medieval Christian Legacy, Gorgias Eastern Christianity Studies 1, ed. J.-P. Monferrer-Sala (Piscataway, NJ: Georgias Press, 2007), 143-154; Salam Rassi, Justifying Christianity in the Islamic Middle Ages: The Apologetic Theology of ʿAbdīshōʿ bar Brīkhā (d. 1318) (PhD diss., University of Oxford, 2015); Bert Jacobs, “Unveiling Christ in the Islamicate World: Fakhr al-Dīn al-Rāzī's Prophetology as a Model for Christian Apologetics in Gregory Bar ʿEbrōyō’s Treatise on the Incarnation,” Intellectual History of the Islamicate World 6/1&2 (2018), 187-216. ‎4 See my PhD dissertation for a discussion of the larger literary context. On the content and significance of the Disputation Against the Arabs, see also the overviews of Syriac apologetic texts in nr. 2, as well as Sidney H. Griffith, “Dionysius bar Ṣalībī on the Muslims,” in IV Symposium Syriacum: Literary Genres in Syriac Literature, Orientalia Christiana Analecta 229, ed. H. Drijvers et al. (Rome: Pontificium Institutum Studiorum Orientalium, 1987), p. 353-365; Herman Teule, “Dionysius Bar Ṣalibi,” Christian-Muslim Relations: A Bibliographical History 3 (Leiden: Brill, 2011), 665-70, p. 667-70. ‎5 Bar Ṣalībī provides two such testimony lists: in chapter 8 concerning the Trinity, and in chapter 19 for the Incarnation. Only the latter list was studied in Sebastian P. Brock, ”A Syriac Collection of Prophecies of the Pagan Philosophers,” Orientalia Lovaniensia Periodica 14 (1983): 203-246; id., “Some Syriac Excerpts from Greek Collections of Pagan Prophecies,” Vigilae Christianae 38 (1984): 77-90. ‎6 On early Christian approaches to the Qurʾān, see Mark Beaumont, “Early Christian Interpretation of the Qurʾān,” Transformation 22/4 (2005): 195-203; Sidney H. Griffith, “The Qurʾān in Arab Christian Texts; the Development of an Apologetical Argument: Abū Qurrah in the Maǧlis of al-Maʾmūn,” Parole de l’Orient 24 (1999): 203-233; id., “Christians and the Arabic Qurʾān: Prooftexting, Polemics, and Intertwined Scriptures,” Intellectual History of the Islamicate World 2 (2014): 243-266; Clare E. Wilde, Approaches to the Qur’an in Early Christian Arabic Texts (750CE-1258 CE) (Palo Alto, California: Academica Press, 2014). ‎7 See Martin Heimgartner, Timotheos I., Ostsyrischer Patriarch: Disputation mit dem Kalifen Al-Mahdī, CSCO 631-2 (Leuven: Peeters, 2011), tr., p. xxvii (nr. 105); Shabo Talay, “Aus dem polemischen Genre des Syrischen: Die luqbal-Schriften von Bar Ṣalībī und Bar Šūšan,” in Orientalia Christiana, Festschrift für Hubert Kaufhold zum 70. Geburtstag, ed. P. Bruns and H. O. Luthe(Wiesbaden: Harrassowitz, 2013), 511-521, p. 517-8. On Bar Ṣalībī’s use of the now lost Chronicle of Dionysius of Tell-Maḥrē (d. 845) in the opening chapter of the Disputation, see Bert Jacobs, “Tentative Reconstruction of Dionyius of Tell-Maḥrē’s Account of the Rise of Islam through Three Dependant Texts,” forthcoming. ‎8 See Teule, “The Syriac Renaissance,” p. 23-8. ‎9 Alphonse Mingana, “An Ancient Syriac Translation of the Ḳurʾan Exhibiting New Verses and Variants,” Bulletin of the John Rylands Library 9/1 (1925): 188-235; reprinted with minimal corrections and additions in Manchester: Manchester University Press, 1925, 3-50. The current paper cites from Mingana’s final version. Recently, Mingana’s study has been reprinted in a volume seeking to challenge the Qurʾān’s traditional status in Islam, Which Koran? : Variants, Manuscripts, Linguistics, ed. Ibn Warraq (Amherst, Prometheus Books, 2008; 2011). Mingana’s study and translation of the quotation section of mimrō III was based on a single manuscript, Mingana Syriac 89 (1715 AD). After completion of his study, he was able to compare this manuscript with Harvard Syriac 91 (1898 AD), the results of which he described in a supplementary note appended to the paper. ‎10 Mingana, “An Ancient Syriac Translation,” p. 29-30. ‎11 Gotthelf Bergsträβer, “Die Geschichte des Qurāntexts,” in T. Nöldeke, F. Schwally, G. Bergsträβer, and O. Pretzl, Geschichte des Qurāns, 3 vols. (Leipzig: Dieterich’sche Verlagsbuchhandlung, 1909, 1919, 1938), Vol. 3, p. 100-2. For Nöldeke’s brief epistolary response from April 13, 1925, see ibid., p. 102 (nr. 1). Bergsträβer’s view that the variants presented by Mingana are unrelated to the non-canonical variants known from Muslim sources was endorsed by Arthur Jeffery, Materials for the History of the Text of the Qur’an: The Old Codices (Leiden: Brill, 1937), p. 14-15 (nr 1). ‎12 Griffith, Syriac Writers on Muslims, p. 25. ‎13 See my PhD for a full assessment of Mingana’s proposals. ‎15 Ms. Mingana Syriac 89, f. 76a. This manuscript is nowadays easily consultable online, see http://vmr.bham.ac.uk/Collections/Mingana/ Syriac_89. ‎16 Bar Ṣalībī, Against the Arabs, ed. p. 111; tr. 103. Amar’s manuscripts include Harvard Syriac 91, the manuscript which Mingana later used for comparison in his supplementary notes. ‎17 Ms. Syriac Orthodox Patriarchate 160, f. 271a-b. Cf. Bar Ṣalībī, Against the Arabs, ed. p. 111, tr. p. 103-4. Also the word yubōleh occuring at the end of this passage appears to be a better reading than yuqneh, ‘his image’, the reading attested in the manuscripts consulted by Amar. ‎18 See the works surveyed by F. Sezgin, Geschichte des arabischen Schrifttums, Vol. 1 (Leiden: Brill, 1967), 237-56, 275-302; and more generally M. Hinds, “Al-Maghāzī,” EI2 5 (1986): 1161-6. ‎19 Bar Ṣalībī, Against the Arabs, ed. p. 111, tr. p. 103-4. Amar misread several proper names at the beginning of this passage. The oldest manuscript has an additional sentence which adds a somewhat polemical twist to the narrative: “Muḥammad and his foster mother put him [the angel] down, as he [the angel] was about to choke him with the pen that wrote”, see Ms. Syriac Orthodox Patriarchate 160, f. 271b. ‎20 See e.g. Alfred Guillaume, The Life of Muḥmmad: A Translation of Ibn Isḥaq’s Sīrat rasūl Allāh (Oxford: Oxford University Press, 1982), p. 69-72 (on his birth, foster mother, and the washing of his heart by two men in white when he was an infant); p. 79 (Abū Ṭālib becomes Muḥammad’s guardian after the death of his grandfather); p. 104-106 (on the stones and trees greeting him and the first revelation he received, i.e. Q 96:1-5). Note the slight discrepancy that Abū Ṭālib became Muḥammad’s guardian after the death of his grandfather ʿAbd al-Muṭṭalib, not after the death of his father, as Bar Ṣalībī wrote. ‎21 See n. 7 for my forthcoming study on this chapter. ‎22 See Talay, “Aus dem polemischen Genre,” p. 516-7. ‎23 Bar Ṣalībī, Against the Arabs, ed. p. 5-8, tr. p. 2-9. In his Arabic Chronicle, Bar ʿEbrōyō includes a similar but more elaborate account of early Islamic schisms, undoubtedly borrowed from (a) Muslim source(s), see Bar ʿEbrōyō, Taʾrīkh mukhtaṣar al-duwal, ed. Ṣalhānī, p. 164-7. ‎24 See the works cited in nr. 2 and 4. ‎25 Henri Laoust, “La classification des sectes dans le Farq d’al-Baghdādī,” Revue des Études Islamiques 29 (1961): 19-59; reprinted in Pluralismes dans l'islam (Paris, 1983), 135-75; id. “La classification des sects dans l’hérésiographie ashʿarite,” Arabic and Islamic Studies in Honor of Hamilton A. R. Gibb, ed. G. Makdisi (Leiden 1965), 377-86.; id., “L'hérésiographie musulmane sous les Abbassides,” Cahiers de civilisation médiévale 38 (1967), 157-178; Dominique Sourdel, “Les classification des sects islamiques dans le Kitāb al-Milal d’al-Šahrastānī,” Studia Islamica 31 (1970): 239-247; Claude Gilliot, “Islam, ‘sectes’ et groups d’opposition politico-religieux (VIIe-XIIe siècles),” Rives nord-méditerranéeennes 10 (2002): 1-13. ‎26 Josef van Ess, Der Eine und das Andere. Beobachtungen an islamischen haresiographischen Texten, 2 vols (Berlin/New York: De Gruyter, 2011), Vol. 1., p. 77. ‎27 Laoust, “L'hérésiographie musulmane sous les Abbassides,” p. 171. ‎28 Teule, “Dionysius Bar Ṣalibi,” p. 665. The Disputation as a whole may even be written in response to the Muslim destruction of Edessa. After having upheld the doctrines of the Trinitiy and Incarnation to his own satisfaction, Bar Ṣalībī somewhat triumphantically writes that, through his efforts, “the proclamation of Christianity has achieved victory over the people that has overpowered us because of our sins (ʿamō d-men ʿelat ḥṭōhayn etʿašan ʿlayn)”. This important allusion to the fall of Edessa was mistrans-lated by Amar, see Bar Ṣalībī, Against the Arabs, ed. p. 81, tr. p. 74. ‎29 Bar Ṣalībī may allude here to the fact that although Muslim exegetes usually interpret dhālika l-kitāb (Q 2:2) to mean ‘this book’, i.e. the Qurʾān, it literally says ‘that book’. This sentence was not included in Amar’s translation, though it is present in his edition. ‎31 Bar Ṣalībī, Against the Arabs, ed. p. 112, tr. p. 104. ‎32 On the large spectrum of interpretations within Sunnī tafsīr, see Martin Nguyen, “Exegesis of the ḥurūf al-muqaṭṭaʿa: Polyvalency in Sunnī Traditions of Qur’ānic Interpretation,” Journal of Qurʾānic Studies 14/2 (2012): 1-28. ‎33 al-Ṭabarī, Jāmiʿ al-bayān ʿan taʾwīl āy al-Qurʾān, ed. Cairo, p. 210. ‎35 al-Qurṭubī, al-Jāmiʿ li-aḥkām al-Qurʾān, ed. Beirut, p. 241. See Daniel A. Madigan, “Preserved Tablet,” EQ 4 (2004): 261-3. ‎36 Ms. Syriac Orthodox Patriarchate 160, f. 271b: ܗܠܝܢ ܕܬ̇ܢܐ ܗܪܟܐ ܗܠܝܢ ܕܝܠܢ ܟܖ̈ܝܣܛܝܢܐ ܐܡܪ݂. ‎37 Bar Ṣalībī, Against the Arabs, ed. 110, tr. p. 103. ‎38 Ms. Syriac Orthodox Patriarchate 160, f. 272b. The manuscripts consulted by Amar read ‘to add’ in the singular (awsef) which is taken to mean that it is the Qurʾān that adds four angels, see Bar Ṣalībī, Against the Arabs, ed. 113, tr. p. 106. Mingana derived a rather bizarre argument against Bar Ṣalībī’s translatorship from this comment, see Mingana, “An Ancient Syriac Translation,” p. 6-7. ‎39 Stephen R. Burge, Angels in Islam: Jalāl al-Dīn al-Suyūtī's al-Ḥabāʾik fī akhbār al-malāʾik, Culture and Civilization in the Middle East 31 (Oxon: Routledge, 2012), p. 43-4. ‎40 al-Ṭabarī, Jāmiʿ al-bayān ʿan taʾwīl āy al-Qurʾān, ed. Cairo, p. 229; Burge, Angels in Islam, p. 146. ‎41 Bar Ṣalībī, Against the Arabs, ed. p. 110, tr. p. 102. ‎42 Sunan Abū Dāwūd, ed. Dār al-salām, Vol. 5, book 42, 4700, p. 213 (translation slightly adapted). For other versions, see ‘creation’ in A. J. Wensinck, A Handbook of Early Mohammadan Tradition (Leiden: Brill, 1927), p. 49. ‎43 Bar Ṣalībī, Against the Arabs, ed. p. 113, tr. p. 105. Note Bar Ṣalībī’s use of the Arabic term for pen, qalam. ‎44 Bar Ṣalībī, Against the Arabs, ed. p. 128, tr. p. 122. ‎45 Ṣaḥīḥ al-Bukhārī, ed. Dār al-salām, Vol. 8, book 81, 6529, p. 287 (translation slightly adapted). ‎46 Bar Ṣalībī, Against the Arabs, ed. p. 135, tr. p. 130. ‎48 Sunan Abū Dāwūd, ed. Dār al-salām, Vol. 1, book 177/8, 976, p. 571-2 (translation slightly adapted). ‎49 Bar Ṣalībī, Against the Arabs, ed. p. 72, tr. p. 65. ‎50 Bar Ṣalībī, Against the Arabs, ed. p. 98, tr p. 90-1. Amar misread the part on the swearing, reading it as though ʿAlī swore that ʿUthmān would not put on the cloak. Note that Bar Ṣalībī implies that the term ‘Qurʾān’ is etymologically derived from the Arabic verb aqrana, ‘to join together, to combine’, from the root q-r-n, rather than from the root q-r-ء, ‘to read, to recite’, which is the standard explanation. Though Bar Ṣalībī’s take on it is manifestly polemical, this alternative etymology is not as “fanciful” as Amar suggested, for the root q-r-n is discussed by Arab lexicographers among the possible meaning of ‘Qurʾān’, see Anne-Sylvie Boisliveau, Le Coran par lui-même: Vocabulaire et argumentation du discours coranique autoréférentiel (Leiden: Brill, 2014), p. 41-3. ‎51 Quoted in Shehzad Saleem, Collection of the Qurʾān: A Critical and Historical Study of Al-Farāhī’s View (PhD diss., University of Wales Lampeter, 2010), p. 239. For the narratives of ʿAlī’s collection of the Qurʾān, see ibid., p. 236-279; Seyfeddin Kara, “The Suppression of ʿAlī ibn Abī Ṭālib’s Codex: Study of the Traditions on the Earliest Copy of the Qurʾān,” Journal of Near Eastern Studies 75/2 (2016): 267-289. ‎52 Welch, “Ḳurʾān,” EI2 5 (1986), p. 405. See also John Burton, The Collection of the Qurʾān (Cambrigde: Cambridge University Press, 1977), p. 138-159. ‎53 Bar Ṣalībī, Against the Arabs, ed. p. 111, tr. p. 103. Note Bar Ṣalībī’s use of the nisba adjective ʿUthmānī. ‎54 Ms. Syriac Orthodox Patriarchate 160, f. 271b. ‎55 On this term, see Roberto Tottoli, “Origin and Use of the Term Isrāʾīliyyāt in Muslim Literature,” Arabica 46 (1999): 193-209. ‎56 On this genre in general, see Tilman Nagel, Die Qiṣaṣ al-Anbiyāʾ. Ein Beitrag zur Arabischen Literaturgeschichte (PhD diss., University of Bonn, 1967); Roberto Tottoli, Biblical Prophets in the Qurʾan and Muslim Literature, Routledge Studies in the Qur'an (London/New York: Routledge, 2001). ‎57 Bar Ṣalībī, Against the Arabs, ed. p. 115, tr. p. 108. Note that the mention of the angels’ fear is absent from Bar Ṣalībī’s version, possibly because it was irrelevant to the point he seeks to make. ‎58 al-Ṭabarī, Jāmiʿ al-bayān ʿan taʾwīl āy al-Qurʾān, ed. Cairo, p. 459; Franz Rosenthal, The History of al-Tabari, Vol. 1: General Introduction and From the Creation to the Flood (Albany: Suny Press, 1989), p. 262. On the proces of the creation of Adam, see Cornelia Schöck, Adam im Islam. Ein Beitrag zur Ideengeschichte der Sunna (Berlin: Klaus Schwarz Verlag, 1993), p. 74-8. This aspect of the creation of Adam was not discussed in Kisters’ study of Adamic legends in Islam, see M. J. Kister, “Ādam: A Study of Some Legends in Tafsīr and Ḥadīṯ Literature,” Israel Oriental Studies 13 (1993): 113-74. ‎59 Schöck, Adam im Islam, p. 75. ‎60 Bar Ṣalībī, Against the Arabs, ed. p. 116, tr. p. 109. ‎61 Bar Ṣalībī, Against the Arabs, ed. p. 119, tr. p. 112: “Observe that also this story is unbelievable, dull, and very foolish”. ‎62 Bar Ṣalībī, Against the Arabs, ed. p. 118-119, tr. p. 111-2. ‎63 B. Heller and S.M. Wasserstrom, “Ūdj,” EI2 10 (2000): 777-8. See also Admiel Kosman, “The Story of a Giant Story: The Winding Way of Og King of Bashan in the Jewish Haggadic Tradition,” Hebrew Union College Annual 73 (2002): 157-190; Ján Pauliny, “ʿŪg ibn ʿAnāq, ein sagenhafter Riese: Untersuchungen zu den islamischen Riesengeschichten,” Craecolatina et Orientalia 5 (1973): 249-268. ‎64 Gutmann remarks that Og, who was among the earliest biblical figures depicted in Islamic art, fascinated Muslims “as he symbolized the accursed, evil infidel who is vanquished by such true believers as Moses”, see Joseph Gutmann, “More about the Giant Og in Islamic Art,” Bulletin of the Asia Institute 3 (1989): 107-114, p. 111. ‎65 al-Thaʿlabī, Arāʾis al-majālis fī qiṣas al-anbiyāʾ, tr. Brinner, p. 99-100, 399-403; al-Kisāʾī, Qiṣaṣ al-anbiyā, ed. Eisenberg p. 233-5, tr. Thackston, p. 251-3. ‎66 Joseph Gutmann and Vera B. Moreen “The Combat between Moses and Og in Muslim Miniatures,” Bulletin of the Asia Institute 1 (1987): 111-21. On the important place of the story of Og in Qiṣaṣ al-Anbiyāʾ manuscripts from the sixteenth century, see Naʿama Brosh and Rachel Milstein, Biblical Stories in Islamic Painting (Jerusalem: Israel Museum, 1991), p. 39-40, 97-9; Rachel Milstein, Karin Rührdanz, and Barbara Schmitz, Stories of the Prophets: Illustrated Manuscripts of Qiṣaṣ al-Anbiyāʾ (California: Mazda Publishers, 1999), p. 131, 191. Bert Jacobs, "Preliminary Considerations on Dionysius Bar Ṣalībī's Islamic Sources." Hugoye: Journal of Syriac Studies 21.2 (2018): 357-389.